ABC Jazz has a packed radio schedule at Wangaratta 2014 with live broadcasts of Jeff 'Tain' Watts, Enrico Rava and the National Jazz Awards. If you're unable to make it to the Wangaratta Jazz and Blues Festival this year, you can still catch the headline acts right here on ABC Jazz. We will be broadcasting three performances, direct from the stage to the radio. On Saturday, November 1, we will be airing Enrico Rava's Quintet live from the WPAC Theatre. That broadcast will begin at 11am eastern. Also on November 1 at 10:30pm eastern, you can catch the Jeff "Tain" Watts Quartet, again live from the WPAC Theatre. As per tradition, Mal Stanley from Jazztrack will be presenting the National Jazz Awards on Sunday, November 2 from 5-7pm eastern on both ABC Jazz and Classic FM. The Sunday broadcast will feature the three guitar finalists for this year's National Jazz Awards. We will also be recording a number of other acts for later broadcasts on Mal Stanley's Jazztrack. Keep in touch with news and coverage from Wangaratta on the ABC Jazz Facebook and Twitterfeeds - updating all weekend. Social Alternatives is looking for submissions of poetry for its next issue. The theme of the issue is 'Revisiting the cosmopolitan ideal' and while you are free to interpret this any way you want I am also happy to consider work that is not obviously linked to the theme. In general I am looking for work up tot 25 lines – but if think you have great poem which is longer I'm happy to have a look but be aware it is more difficult to place longer pieces. For almost ten years La Mama has offered playwrights a free assessment service. We'll give detailed feedback on any play, regardless of the writer's level of experience. We understand it's no easy life or process writing for theatre, we seek to give an honest but constructive response, with the intention of assisting development of both the script and the writer's skills. Currently, the assessor is Graham Downey. We aim for a turnaround time of less than two months between our receiving your script and our mailing out an assessment. If you haven't received anything beyond two months please contact La Mama. Occasionally, pressure of work may impact turnaround time. The house was packed at the most recent New York event on Sunday, and satellites have sprung up in Barcelona, Paris, London, Caracas and Auckland. Featured readers like Paul Muldoon (the New Yorker poetry editor and Pulitzer prize winner) and Deborah Landau (director of creative writing at NYU) have moonlighted as poetry whores, lending the enterprise legitimacy and gravitas. 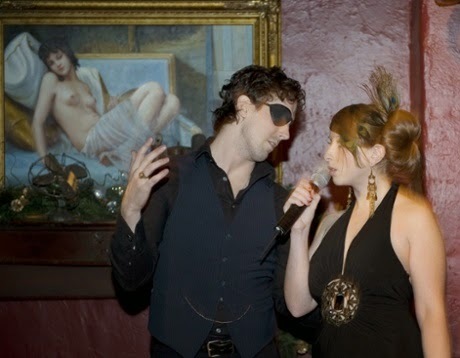 For the likes of Muldoon and Landau, the poetry brothel is something fun and different for a few hours. 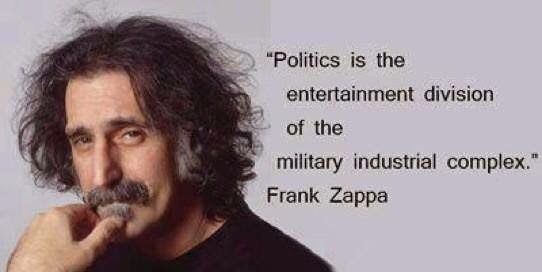 But for the lesser-known poets, there is real creative and financial benefit to a receptive listener who can provide feedback and monetary compensation. Private readings cost $10 ($20 for a featured reader) and tipping is common; a poet can make a few hundred dollars on a lucrative night. 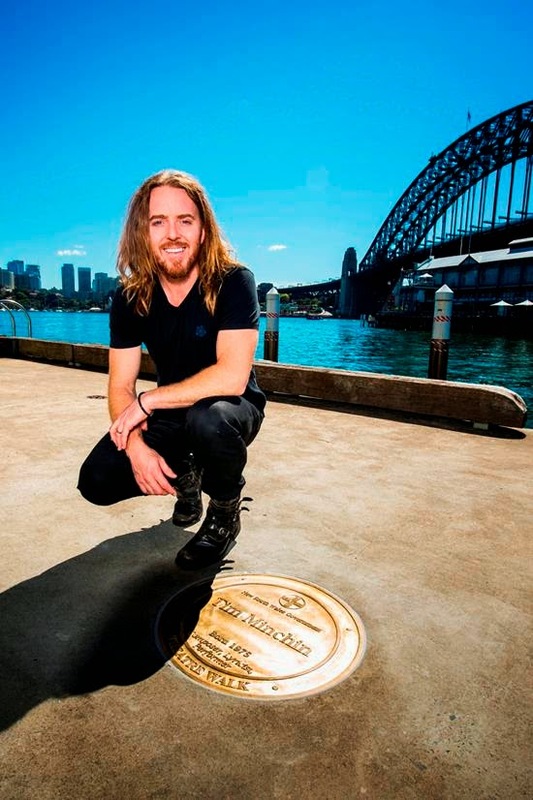 Tim Minchin the Australian musician, composer, songwriter, actor, comedian and writer, has been honoured with a bronze plaque on Arts NSW's Theatre Walk at Walsh Bay. Tim Minchin will join the 21 other theatre greats who have already been acknowledged through plaques set in bronze spotted around Pier 2/3, such as Cate Blanchett, Geoffrey Rush, John Bell AO OBE and Jack Weaver. Loose Change, a journal of new writing from the WonderRoot Center for Arts and Social Change in Atlanta, is relaunching in January with work by Charles Alexander, Eric Baus, Pam Brown, Bhanu Kapil, Douglas A. Martin, Miranda Mellis, Simon Perchik, Deborah Poe, Joanna Ruocco, and Keith Waldrop, among others, and is still accepting submissions of previously unpublished work through November 15. We are especially interested in receiving more submissions of innovative prose and submissions in all categories (poetry, fiction, lyric essay, plays/libretti, and hybrid) for our special portfolio, “Sexted Up—Wording In—Gen(d)re Qweery,” to be included inside the general, non-themed issue. We are interested in work that comes out of various traditions to move them forward, break them apart, reinvent or explode them. We want familiar modes made new and strange forms that renew us. Please review our submission guidelines before sending your work. We only accept electronic submissions through our submissions manager. John Berryman saw birthdays as imaginative opportunities. Lecturing at Princeton in March 1951, he pictured Shakespeare on his 30th birthday. “Suppose with me a time, a place, a man who was waked, risen, washed, dressed, fed, congratulated, on a day in latter April long ago,” he began, “about April 22, say, of 1594, a Monday.” A birthday is a chance to greet across time: to hail a predecessor. In a late poem, Berryman addressed Emily Dickinson. It is December 10, 1970, and in “Your Birthday in Wisconsin You Are 140” he raises his glass to her. “Well. Thursday afternoon, I’m in W——,” he writes, “drinking your ditties, and (dear) they are alive.” A birthday is a moment of invention. The climax of his long poem “Homage to Mistress Bradstreet” is a violent, beautiful childbirth. “No. No. Yes! everything down / hardens I press with horrible joy down,” shouts Anne. 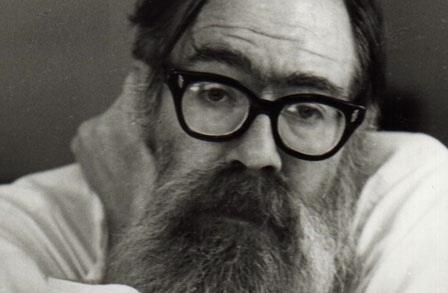 “I did it with my body!” Close to the end of The Dream Songs, the cycle for which Berryman is best known, he writes: “Tomorrow is his birthday, makes you think.” John Berryman was born in McAlester, Oklahoma, on October 25, 1914, and this year marks his centenary. "Dream Song 76 (Henry's Confession)"
Nothin very bad happen to me lately. terms o' your bafflin odd sobriety. what could happen bad to Mr Bones? who dared so long agone leave me. spreadeagled on an island, by my knee. hum a little, Mr Bones. —I saw nobody coming, so I went instead. Despite not being contacted by the International Cricket Council as yet, Hong Kong coach Charlie Burke says it would be a dream come true for his players. "It's out of [the ICC's] control, it's out of our control as well. I mean, if we were given a spot at next year's World Cup, we'd grab it with both hands," Burke told Fairfax media. "It's not the best situation or the best circumstances to be in a World Cup, but then again it's a dream for every single player for my squad. “We haven't spoken to anyone, no-one's spoken to us as yet, but we've heard rumours saying that could happen and they might pull out." In a further blow to the Windies, the Board of Control for Cricket in India said on Tuesday it would “initiate legal proceedings”, with the damages of the abandoned India tour estimated at a whopping $US65 million ($70 million). The Windies left India following the fourth one-day international in Dharamsala with one ODI, two Tests and a T20 international remaining. The judge for the 2014 competition is Overland poetry editor, Peter Minter. Competition closes midnight, Saturday 15 November 2014. Winners will be announced inOverland 218, autumn 2015. The award is open to poets who have not yet had a solo collection of their work commercially published: that is, by a publishing house with commercial distribution. Entrants must be Australian citizens (living anywhere) or permanent residents. Poems must be unpublished (including online) and not under consideration by other publishers. Poems that have won or are under consideration in other competitions are not eligible. Selection will be made by Overland’s poetry editor, Peter Minter. 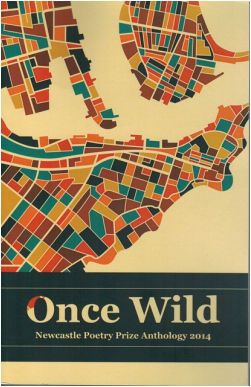 The winning poem will be published in Overland. All submitted poems may be considered for publication in Overland. Entries must be submitted electronically via the Overland submittable system. An entry fee of $12 for Overland subscribers and $18 for non-subscribers will be charged. It is possible to become a subscriber and simultaneously enter the competition at a special price of $56. The name of the poet must not appear on the manuscript (including the header or footer) since all poems will be considered anonymously. Poems must be no more than 80 lines. Multiple entries are permitted, though a separate fee applies to each poem. The competition closes on midnight, Saturday 15 November 2014. Winners will be announced in March 2015. Subscribe to the Overland email bulletin to receive announcements as to the results. The major prize is $6000, second prize is $2000 and third prize is $1000. Please ensure you are satisfied with your poem before submtting. Poems that are withdrawn and subsequently resubmitted will incur a second fee. Enter the 2014 Overland Judith Wright Poetry Prize. As part of ongoing celebrations for the 50 year anniversary of the Arts Faculty Building and the New Fortune Theatre at The University of Western Australia, we invite you to this free special lecture-performance by acclaimed director Aarne Neeme. Aarne will share some of his thoughts and conclusions regarding the use of the Fortune as a playing area, and illustrate them with selections entitled Fortune Tellers: Shakespeare and Dorothy Hewett, performed by actors from various works. In the summer of 1967/8, Rex Cramphorn and Aarne Neeme accompanied Phillip Parsons as assistants on his Festival production of Richard III in the New Fortune Theatre. It was Neeme’s first journey to Perth, and he was absolutely smitten by the Fortune’s vast open playing area and its stadium-like actor-audience relationship. Shakespeare, like any competent playwright, was fully conversant with the staging possibilities and conventions of his time, and this venue was like a palette to an artist for Elizabethan stagecraft. Neeme was excited about gaining insights into the structure and intended visual effects of his plays and how the use of this space would illuminate Shakespeare’s intentions. During this initial visit, he also had the good ‘fortune’ to meet Dorothy Hewett, and to strike up a rapport with her. She had an office in the English Department overlooking the New Fortune and was likewise fascinated by its possibilities. In the course of time, he had the honour of directing four of her plays there, most notably The Chapel Perilous (1971). While he has staged only two other Shakespearean plays in the New Fortune – Antony and Cleopatra (1974), with Robin Nevin and Arthur Dignam, and The Taming of the Shrew (1986), with John Bell and Anna Volska – the unique stage has fully informed the production of 10 other plays he has directed, tackling them in a variety of other venues. Aarne Neeme started his professional career in 1962 as a dancer in a pantomime at Melbourne's Tivoli Theatre. He then joined Wal Cherry's Emerald Hill Theatre, where he learned the ropes of acting. 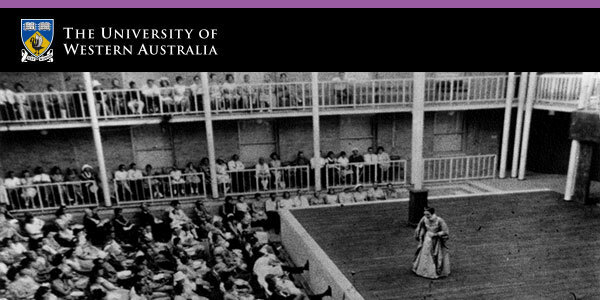 In an attempt to postpone conscription, he attended Australia's first School of Drama at UNSW and, as a consequence of his undergraduate productions, was appointed Resident Director of the then newly built Octagon Theatre, 1969-71. Later work in Perth included being Artistic Director of the National Theatre at the Playhouse, 1973-7; Head of the Theatre Department at WAAPA, 1985-9; and Artistic Director at the Hole-in-the-Wall, 1990-1. He has directed some 300 plays, covering both the classical and contemporary repertoire, and specialising in new writing; he has worked for most major theatre companies across Australia, and in New Zealand and Singapore. He has also taught in vocational and academic institutes; and since 2001, he has been involved in directing television drama, including Blue Heelers, All Saints, MDA, Neighbours and Home and Away. In 2013, Neeme was conferred an Order of Australia for his contribution as a director and teacher in theatre and television. Reading at CHAMBER POETS in Woodend, Victoria. In a year of outstanding achievement by Australian writers, today the Government announces the 2014 Prime Minister’s Literary Awards shortlists. These awards recognise the role Australian writers play in enlightening and entertaining us, reflecting on our history and taking our stories to the world. 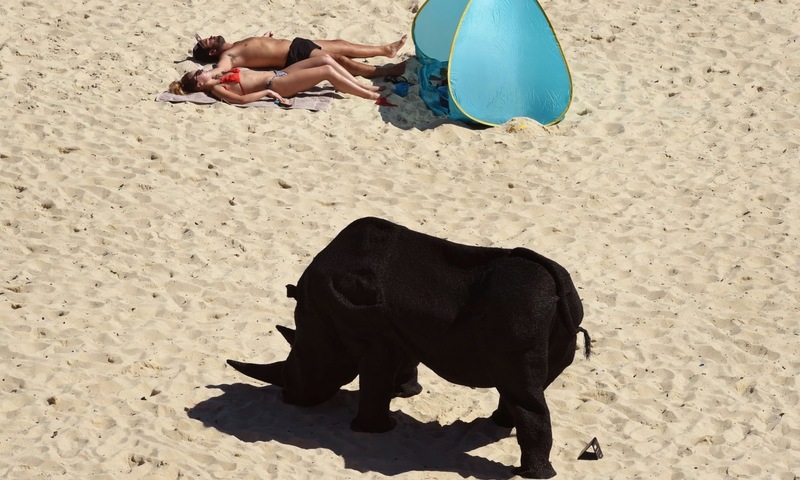 Australia’s writers are ambassadors for our stories and our cultural life and experience. The 2014 shortlists feature some of Australia’s most significant and recognised writers, as well as gifted debut authors across all six award categories: fiction, poetry, non-fiction, Australian history, young adult fiction and children’s fiction. 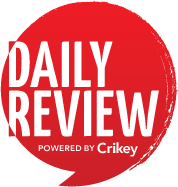 The shortlists span many genres, styles and subjects, reflecting on contemporary Australian life, significant moments in Australian and world history as well as gripping readers with fictional stories that captivate young and old readers alike. These thirty books have become part of the contemporary Australian literary canon. A number of the shortlisted books reflect on World War One and the Anzac story – the crucible in which the Australian identity was forged. These works are essential resources to remembering the tide of events that shaped our nation and that still cast a shadow over the wider world. 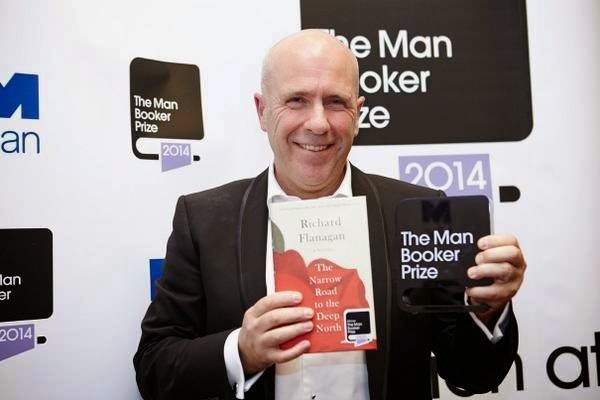 Established in 2008, the Prime Minister’s Literary Awards are Australia’s richest literary prize with a total prize pool of $600,000 to winners and shortlisted authors across the six categories. These awards are testament to the strength and talent of Australia’s writers. Winners will be announced before the end of the year. Time, Bob Dylan groused, is a jet plane — it moves too fast. 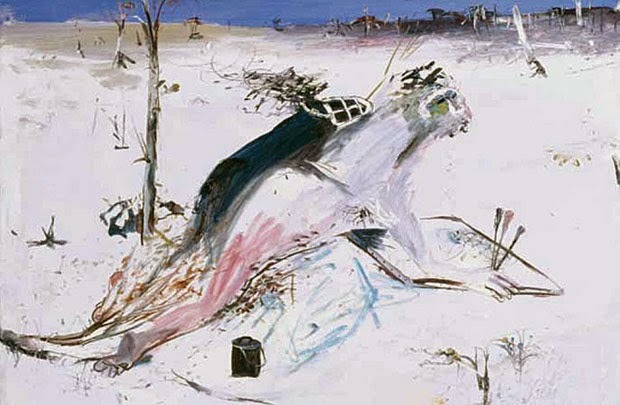 We saw the Arthur Boyd show in Canberra shortly after it opened in early September, and it’s already mid-October. It’s children who get to travel time on a boat, for them a frustrating and stately pace, while adults get seated on faster and faster jets the closer they get to their final destination. We’re not waiting for Godot, we’re screaming helter skelter into his arms. On the left, the well-known self-portrait at 17 (in the show); and the self-portrait at 65, which seems predicted by the teenage picture. Even at 17 Boyd looks like he had already boarded the jet.